This is the pro version of Slider module with a huge and enriched customization features. You can surely make any type of stylized image slider with this module that thousands of our clients say as they are using this. Add New : A button to add a new image. You can add an image as many as you want to make slider according to your need. Duplicate : Clone the image with all its settings and you can just change the image later on keeping unchanged other settings. Once you click on a created image, some more settings will appear to configure below this. Title : Give a title of the image. Enable Button : By enabling this option, you can add a button to the image with an URL to open when the user clicks on it. To avoid adding button, simply keep the option set No. Background Image : Upload the background image with UPLOAD IMAGE button next to this option. BG Color : Select a color to use as the BG color. Content : Write the content text for the image. Alignment : Set the position of the texts as well as image. Arrows : You can enable or disable showing left, right arrows. Dots Navigation : You can enable or disable dots navigation button. Disabling this button, the little circular button below the slider will not be shown anymore. Autoplay : To enable this option, you can play the slider images play automatically from the beginning when it reaches in the last image. 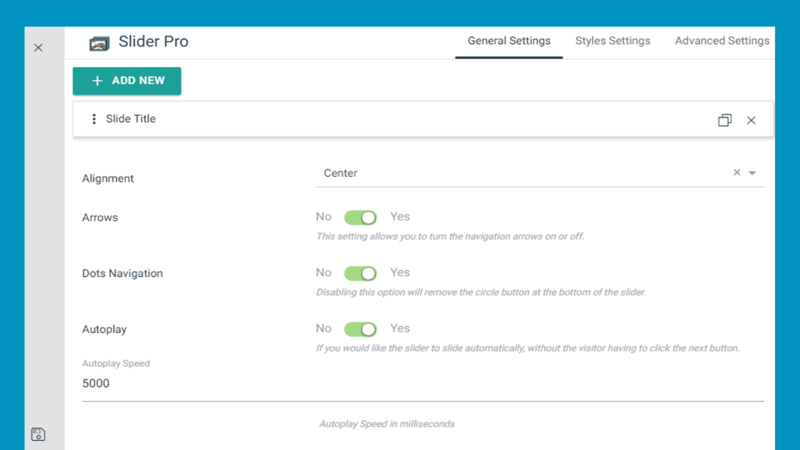 Autoplay Speed : You can set the autoplay speed in milliseconds. Header Font : Select a font style with rich customization for the header. Body Font : Select a font style for the Body. Body Color : Choose a color for the body. Button Font : Select a font style for the Button. 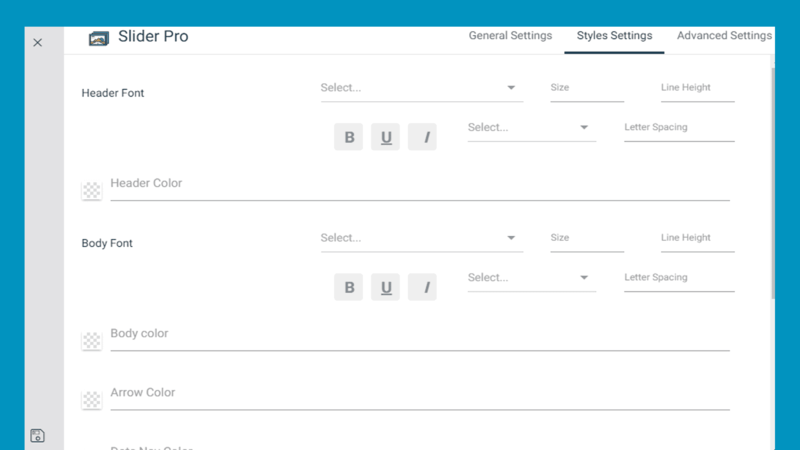 Use Custom Style For Button : You can enable custom button style with this option and to enable this option, you can find huge customization feature through which you can make your button exactly how you want. Padding : You can change the value of padding pixel for Top, Right, Bottom and Left as well for the module. You can use % after the numeric value.